I remember one of the first posts that I wrote was a post about my Go-to Breakfasts, and since my Frozen Yoghurt recipe in the Summer I haven’t done a food related post on jessiecrescent. I found these amazing pots of joy whilst scrolling through my bloglovin’ feed and stumbled upon Rose’s post on her blog – The Londoner – and her travelling noodles. Since I love wonton soups and anything dumpling related, these instantly caught my eye. 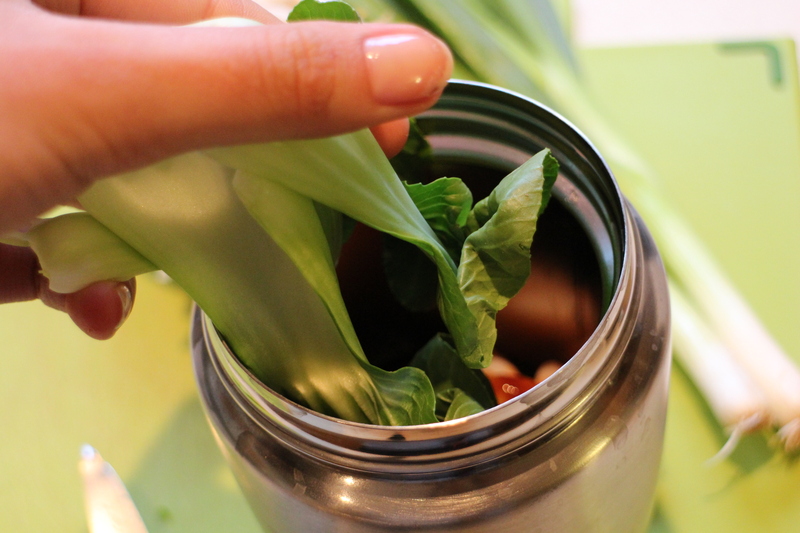 These pots are quick, easy and you can do them the night before and then just keep them in the fridge; in fact I would make them up to 4 nights before! 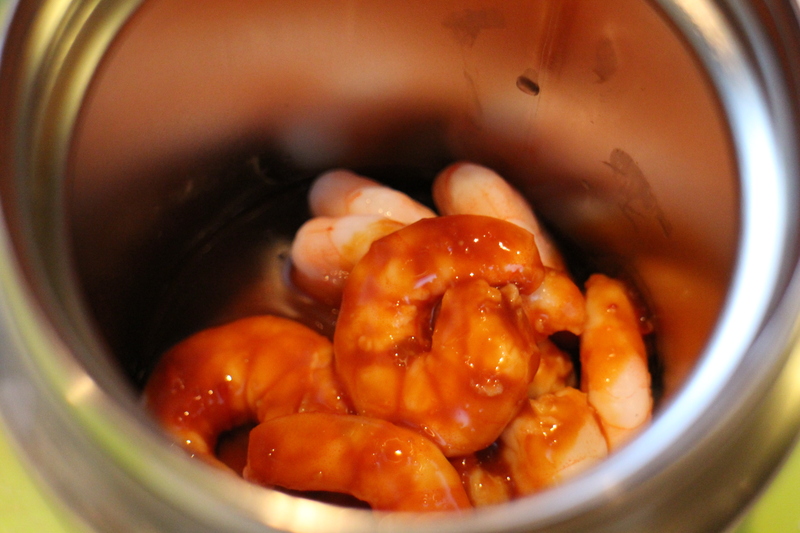 In a small bowl mix together the hot sauce, miso paste, soya sauce and sweet chilli. 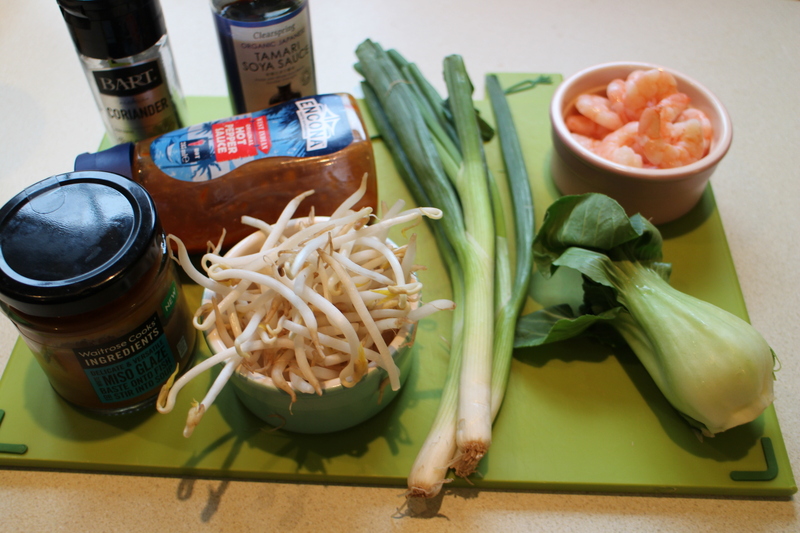 This is the base of the soup and it gives it a great flavour! The hot sauce is optional, I love the kick it adds but you could swap it for thai paste if you want. 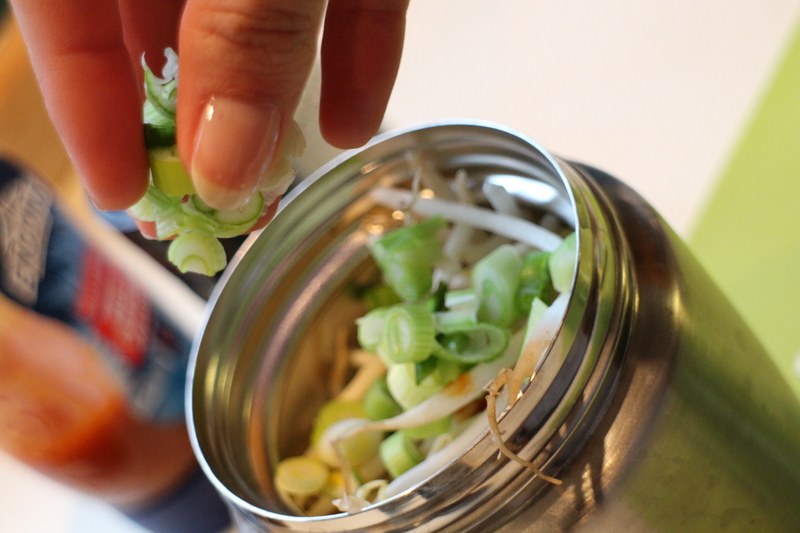 If you would like a little more substance, add cooked and cooled noodles to the bottom of the thermos. 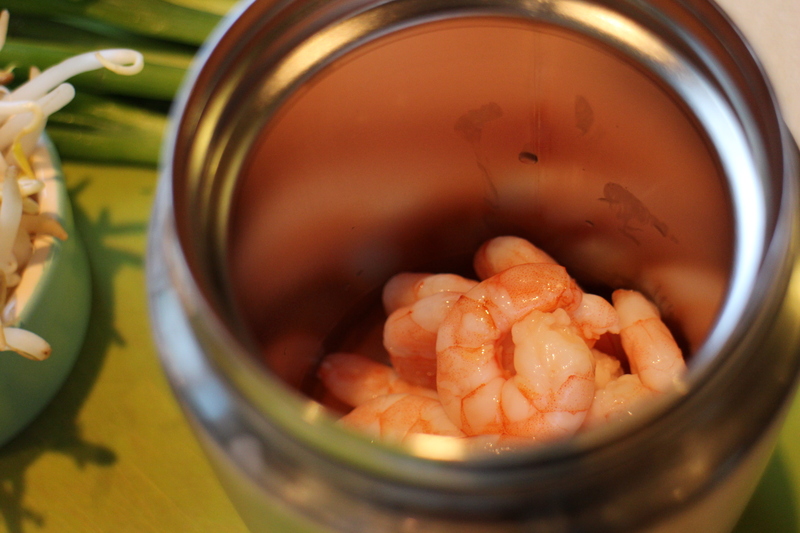 Add the prawns to your container and your soup base mixture. Instead of prawns I would suggest pre cooked chicken, or if you’re vegetarian I would go for tofu. 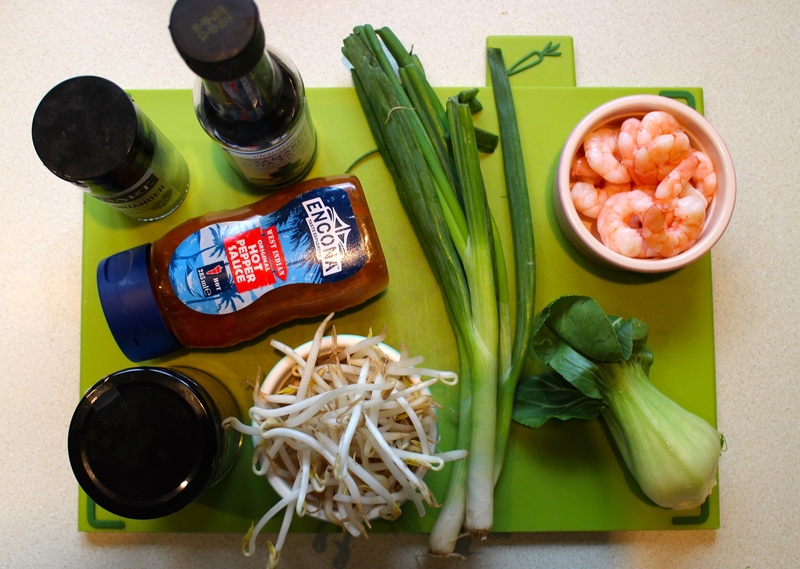 Add the pak choi or, if you aren’t a fan, any asian vegetable (for example pre packaged stir fry veg) and on top add the beansprouts. 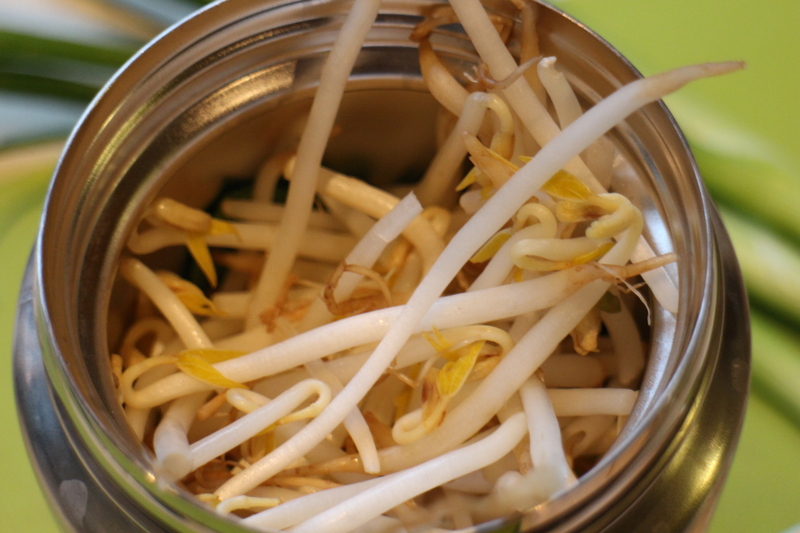 I love beansprouts a little too much so I go crazy with them! 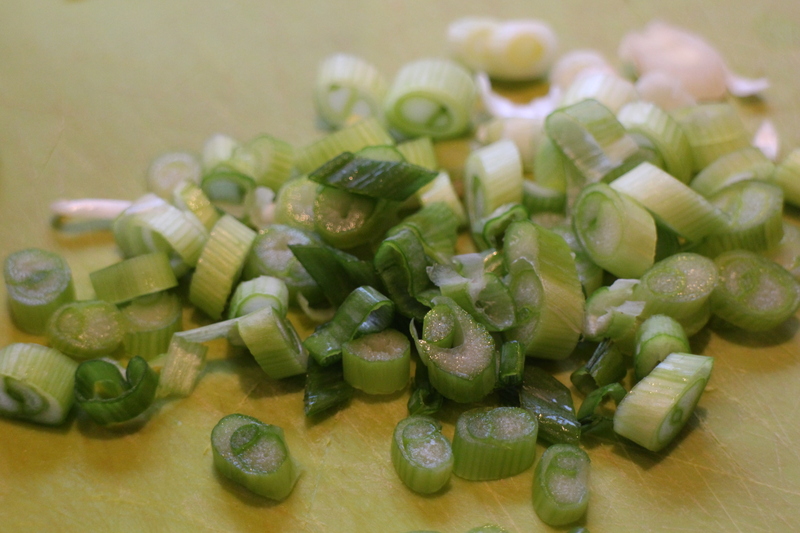 Be generous with the spring onion and then top with dried coriander. Even better if you have fresh coriander top it off with that! 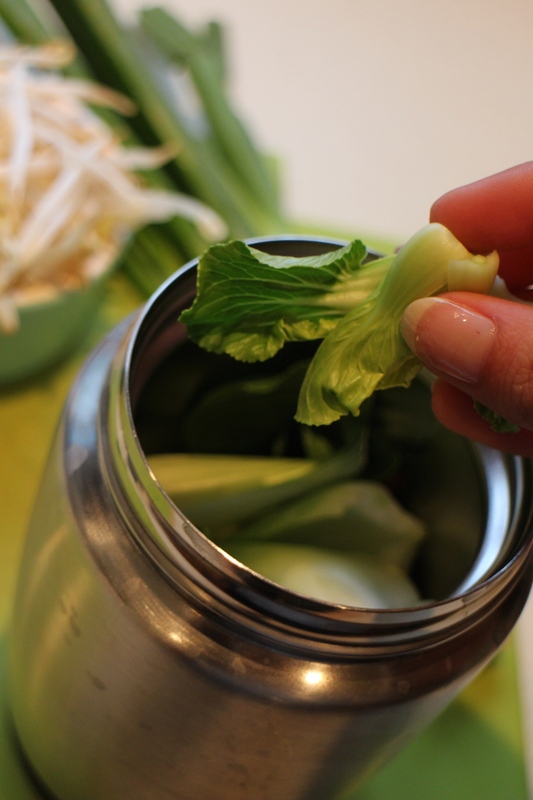 Now you’re done screw that lid back on and place in your fridge. When you’re ready to chow down simply boil the kettle and add hot water.